The Canadian Council for Refugees (CCR) supports and coordinates anti-trafficking efforts across the country aimed at broadening and strengthening the network of NGOs working to protect trafficked persons through awareness-raising and service provision. The CCR supports the work of NGOs through resources and opportunities for information-exchange and strategizing at the national level. 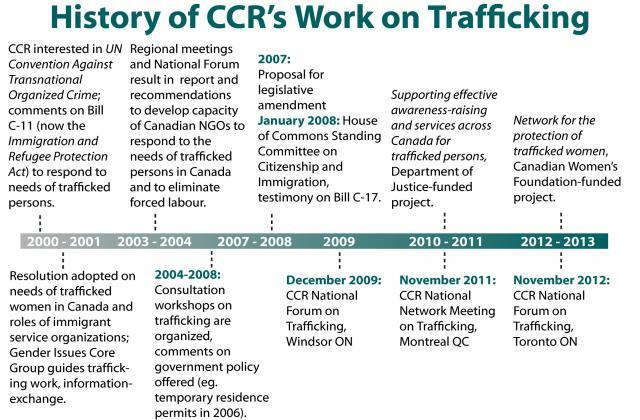 Networking and pan-Canadian leadership is primarily provided by the CCR’s Anti-Trafficking Committee, consisting of representatives of local anti-trafficking networks across the country. Interested in getting involved with the network to exchange information and coordinate strategies on trafficking? For more information about how to join and become involved, please contact the Anti-Trafficking Coordinator, Elvira Truglia at etruglia@ccrweb.ca. The CCR pan-Canadian network is working to further develop contacts in regions where little outreach on trafficking in persons has been done and to strengthen the capacity of NGOs in Canada to respond to trafficked persons through effective awareness-raising, services and policy work. The CCR online database of human trafficking resources offers convenient access to Canadian and international tools to support work on trafficking in the realm of awareness-raising and of service provision. Explore the online database of human trafficking resources. Contribute resources: Are there tools that have been useful to you or to your organization in raising awareness about trafficking or in serving trafficked persons? Share these with us by sending an email to trafficking@ccrweb.ca. 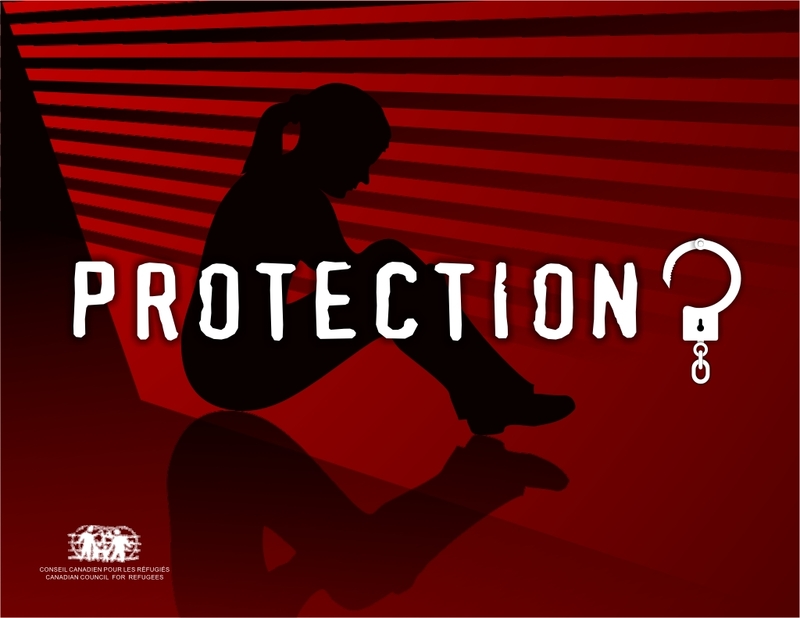 The CCR also offers comments on government policy to ensure anti-trafficking legislation and practices adequately protect and respect the human rights of trafficked persons. Recent CCR national meetings have led to the identification of important gaps in both tools and in policy. The CCR continues to lead and coordinate activities across the country aimed at moving forward with the recommendations developed at its regional and national meetings.